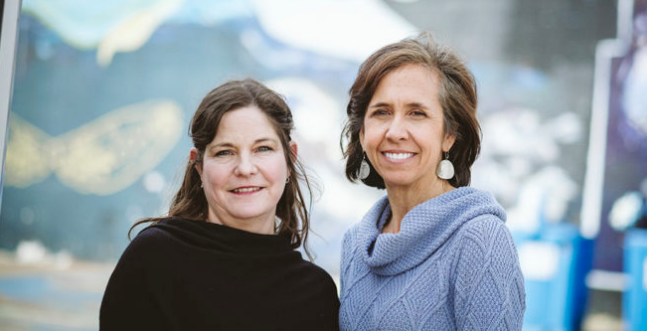 Breast Cancer Survivor and UVA writing professor Charlotte Matthews has partnered with filmmaker Betsy Cox to launch multimedia workshops for women dealing with cancer. Artwork by Kristen Rexter pairs with poem, titled "Hoping To Find Me," written by a patient who participated in the U.Va. Cancer Center workshop. 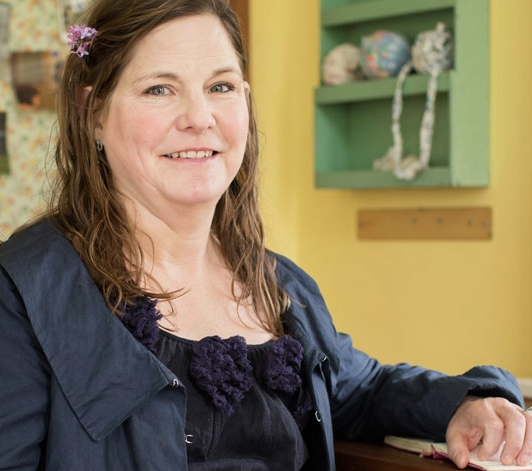 Award-Winning Poet and UVa Professor, Charlotte Matthews, shown at her home in Crozet, continued to write through her cancer treatments. Charlotte Matthews at work on her vintage typewriter. Charlotte Matthews has been known to trade poems written on the spot for donations. The Medical Center Hour is the University of Virginia’s School of Medicine’s weekly forum on medicine and society. Produced by the Center for Biomedical Ethics and Humanities in partnership with Historical Collections of the Health Sciences Library, the series includes History of the Health Sciences Lectures. Whistle Words was the topic in January. A WHISTLEWORDS workshop is starting in March and holding a special event at Pro Re Nata Farm Brewery in Crozet from 7-8 PM on Wednesday night. 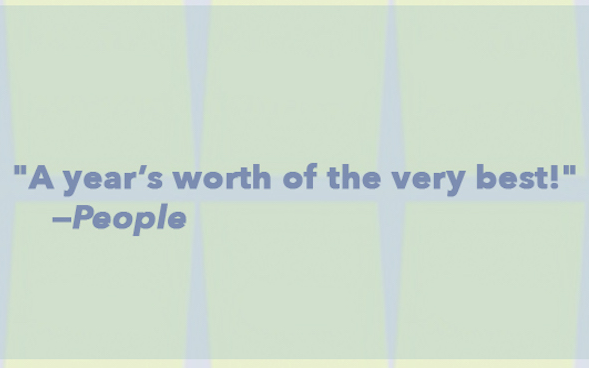 Whistle Words is a multimedia project that uses writing to help women in cancer treatment reclaim their sense of self. 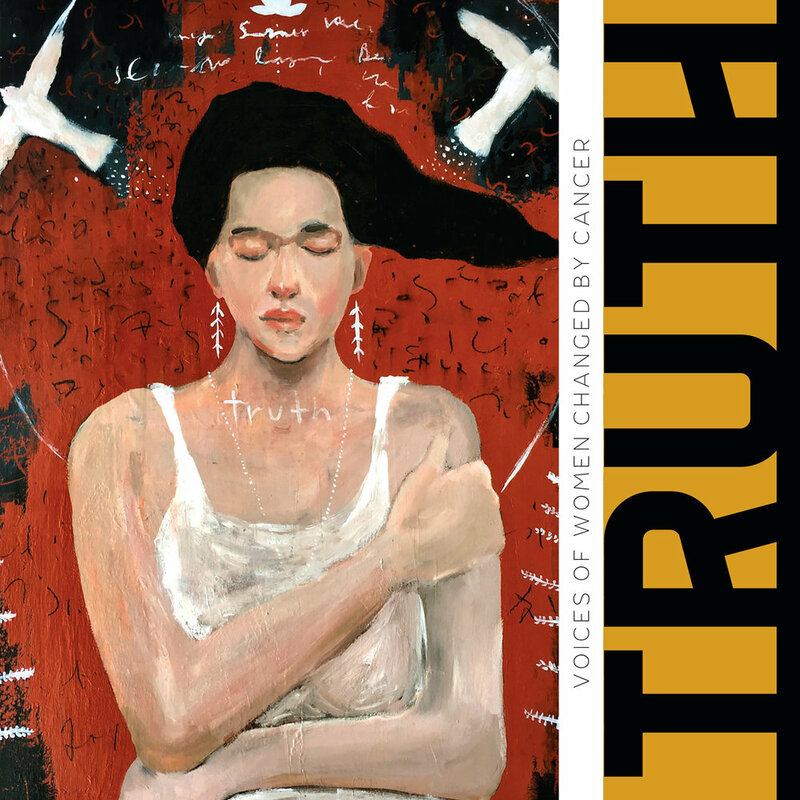 The group has released a new book called Truth: Voices of Women Changed by Cancer. It’s an anthology of writings by women who are currently fighting the disease or in post treatment. Charlotte Matthews is one of the founders of Whistle Words and she’s our featured speaker for Books & Brews in February 2019. She spoke with WMRA’s Chris Boros. 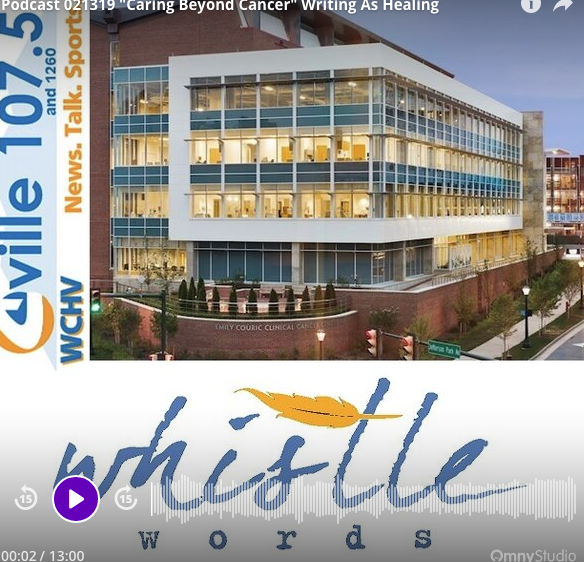 Whistle Words and Truth: Voices of Women Changed by Cancer highlighted at the UVA Medical Center Hour. Cancer patients experience the healing power of Whistle Words. A tireless advocate for the written word, Matthews sees herself as an inspirer to help BIS students write. Before she received a Stage 3 breast cancer diagnosis at 39 years old, UVA writing professor Charlotte Matthews lived on a cattle farm. Whenever the farmer found a dead cow in the pasture, he bulldozed a grave and buried the animal. Matthews remembers the farmer whistling to himself in these moments. Our guests were Charlotte Matthews and Betsy Cox — accomplished women, who ventured beyond the scope of their careers to create something extraordinary. Matthews is an author of exquisite poetry and Cox is an Emmy-winning filmmaker — together they’ve created a multimedia project, Whistle Words, using poetry, film, & the internet, to help women impacted by cancer. Note: Our story begins 7 minutes into podcast. For Assoc. English Prof. Charlotte Matthews, writing poetry became a way of reclaiming power after battling against stage three breast cancer. Eager to share her experience with other women affected by cancer, Matthews worked with filmmaker Betsy Cox to launch Whistle Words. 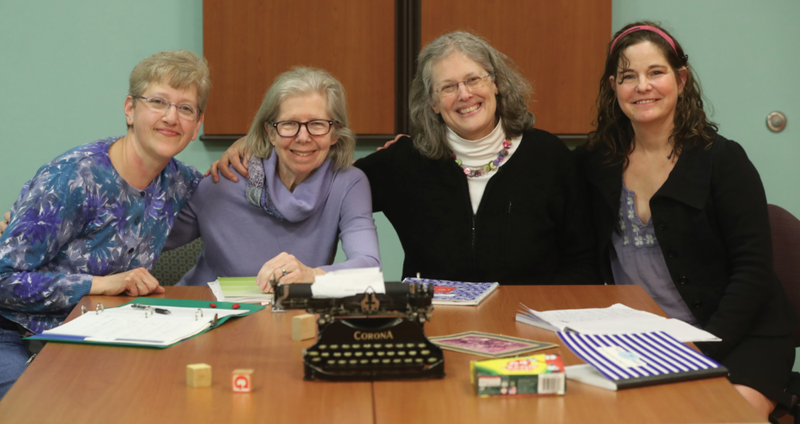 A constellation against a dark sky or a handful of sand strewn across the floor -- that's how one woman in a writing workshop described the mammography images of the early breast cancer she saw in her own body. Charlotte Matthews is on a mission—a mission of empathy and sharing stories. After undergoing a radical double mastectomy for stage three breast cancer 12 years ago—followed by six months of chemotherapy—she felt overwhelmed, like she didn’t know who she was any more. A 5-minute presentation on the insight silence brings...if we let it. 2-minute feature story on the upcoming launch of Whistle Words. While grinding out three months of chemotherapy for breast cancer, Charlotte Matthews spent a lot of time doing what she had devoted her life to: she wrote.